A great start of the day! 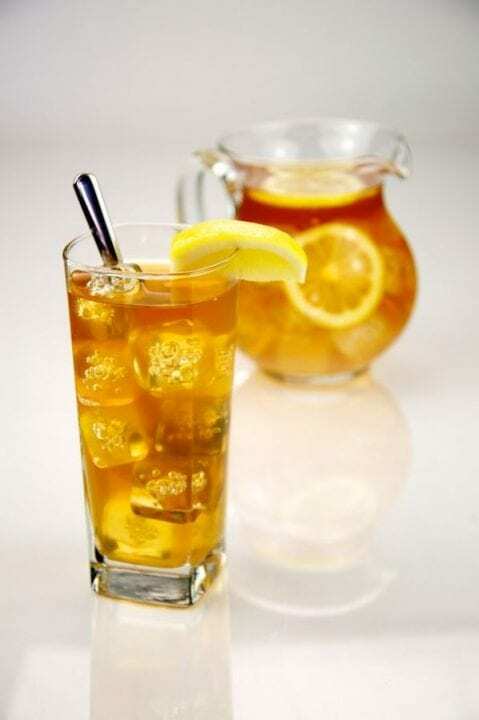 Do it a habit, a routine, to start up wit having a glass of this wonderful natural ice tea. The ingredients will be loved by your body! The turmeric root, ginger root and lemon are ingredients we may take in vitamins, but why do that when you drink it and enjoy the great flavors! We are happy to give you a recipe for our Ginger Lemon Ice Tea that has many health benefits and can help you cleanse your body of toxins and lose weight really fast, yeah in fact it is faster than anything else we have tried. You may ask; Does ginger help you lose weight? The answer is yes. In fact, drinking lemon ginger honey tea for weight loss may be the smartest thing you can do. Our Ice Tea’s main ingredients are turmeric, ginger and lemon. This is our recommended recipe, however you can make some adjustments to make it perfect for you, if you want it more bitter or sweet. Not only is yacon root syrup super sweet and tasty, but it can actually aid in blood sugar stabilization and weight loss. Consuming as little as a teaspoon of yacon root syrup before meals is suggested to aid in digestion and alleviate constipation. Yacon root syrup is also a surprisingly rich source of iron, a top mineral vegan eaters can sometimes be deficient in. You can use yacon root syrup just like you would honey in many recipes and sweet/carbohydrate-based dishes. Fist, chop the ginger and the turmeric roots and put them in a saucepan together with pepper and 3 cups of water. Squeeze the lemon slices into the saucepan. Heat it up until it starts to boil then reduce the heat and let it simmer for a couple of minutes. Then, remove the pan from heat, cover it, and leave it to steep for a couple of hours or overnight. If you’re using our recommended Yacoon Root Syrup, add it when the mixture cools down. In the end, strain the liquid from the roots and your drink is ready. Leave it in the fridge to cool down then add 6 or more cups of water to get a lighter beverage. You can experiment with how much water you add to make it right for you. The ginger root is used as a slimming formula because its properties promote weight loss. Not only does it improve digestive functions but it also has a “thermogenic” effect that helps activate the metabolism, making it a potent fat and calorie-burner. On the other hand, lemon is another one of the big powerful medicines that promotes health in different ways. It too is considered a natural thinning agent. Its vitamin C content turns it into a very effective antioxidant that promotes waste elimination from the body, fights fluid retention, helps detoxify the body and contributes to a reduction in abdominal swelling. 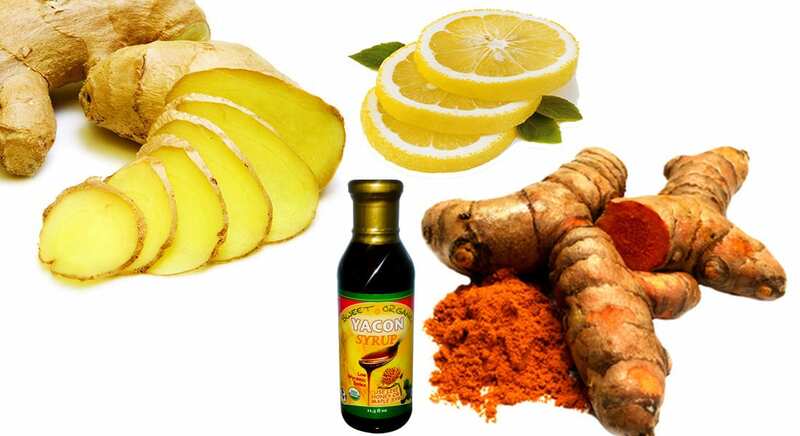 Also the turmeric is really effective, giving you a boost in fat burning. We suppose you know already to take turmeric as anti inflammatory is a good health benefit as well. You may have asked how to take turmeric for health benefits, but now you know you can prepare it for your next ice tea. The ingredients in this tea has the properties to promote fat and waste elimination from the body. This ice tea is great for your overall health. It can help you get rid of toxins and get more energy. It is completely natural so it has no side effects. The perfect chill drink for a warm afternoon! And your body will love your for it! Happy holidays and Greetings from Distrita team to You!